Karen Panton is no stranger to environmental conservation or indeed the Caribbean Challenge Initiative. Her professional career has been built on financial and accounting support to civil society, including non-profits in Nassau and Jamaica. 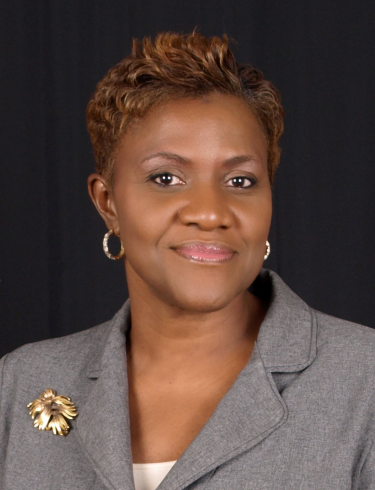 Prior to her new role with the BPAF, she was the former Director of Finance and Operations at the Bahamas National Trust, serving as the Trust’s appointed director to the BPAF Board. Karen was also the Director of Finance for the Nature Conservancy’s Caribbean Program as well as the Financial Representative for the Caribbean Challenge Initiative. Karen has studied at the then College of the Bahamas, the University of Miami and more recently at the University of Liverpool securing an MBA with a concentration in Finance and Accounting. The Board has confidence that Ms. Panton’s tenure with two significant environmental NGOs and her understanding of the aims of the Caribbean Challenge Initiative and the Caribbean Biodiversity Fund, are assets in her new role. In addition, her general and on-the-ground knowledge of the importance of protected areas both for biodiversity conservation and climate change mitigation and adaptation, are essential to the accomplishments of the strategic aims of the BPAF. We were therefore pleased that she accepted the offer to work with us in this new capacity. The Bahamas Protected Areas Fund was established to ensure sustainable financing into perpetuity for the management of Protected Areas in The Bahamas, including management activities under the Caribbean Challenge Initiative (CCI) and the objectives of the Caribbean Biodiversity Fund. This includes scientific and policy research and education, conservation and management of any system of protected areas established by the Government of The Bahamas, including programs established for the management of any area required for biodiversity conservation. We are positioned to accelerate our activities and look forward to advancing our objectives. We have reengaged with the Caribbean Biodiversity Fund and are actively working towards the execution of the Partnership Agreement to help support the goals of the BPAF.